Developed by avid outdoorsmen, the C200 RV anchoring systems provide superior protection for your RV awning from damaging winds. 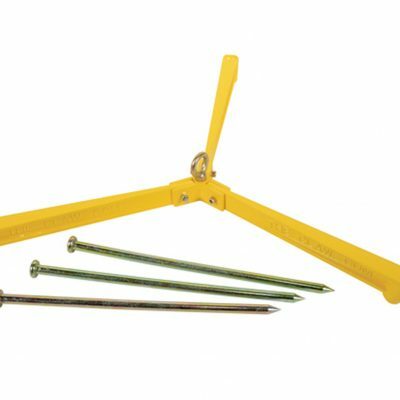 Each Claw® anchor can withstand 1,200 lbs. of force, yet requires little effort to install or remove, making it far superior to any other earth anchor system. In addition, its simple, low profile design, helps reduce tripping hazards and will not puncture tires. 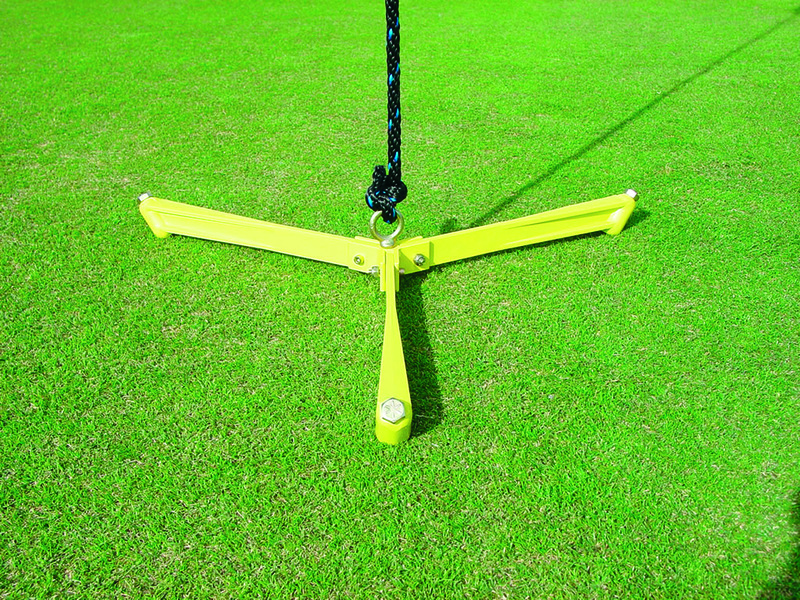 And unlike other anchor systems, the Claw® does not damage the turf. 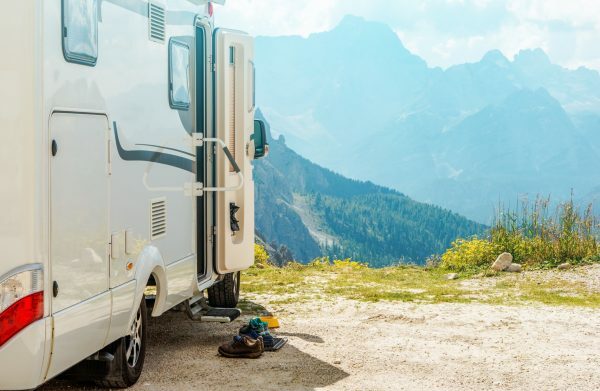 Developed by avid outdoorsmen, the C200 RV anchoring systems provide superior protection for your RV awning from damaging winds. 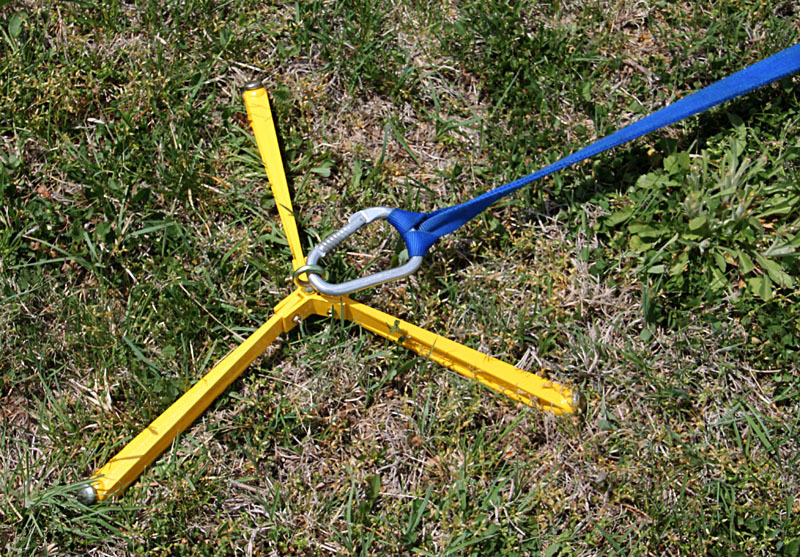 Each Claw® anchor can withstand 1,200 lbs. of force, yet, it requires little effort to install or remove, making it far superior to any other earth anchor system. In addition, its simple, low profile design, helps reduce tripping hazards and will not puncture tires. 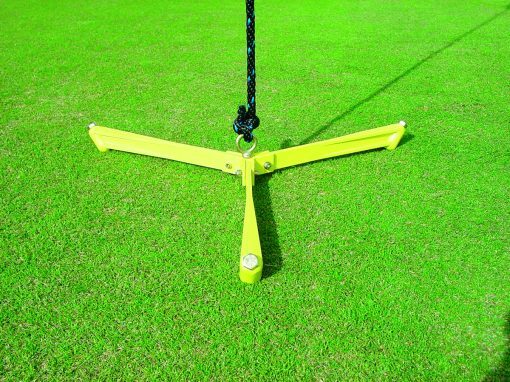 And unlike other anchor systems, the Claw® does not damage the turf. 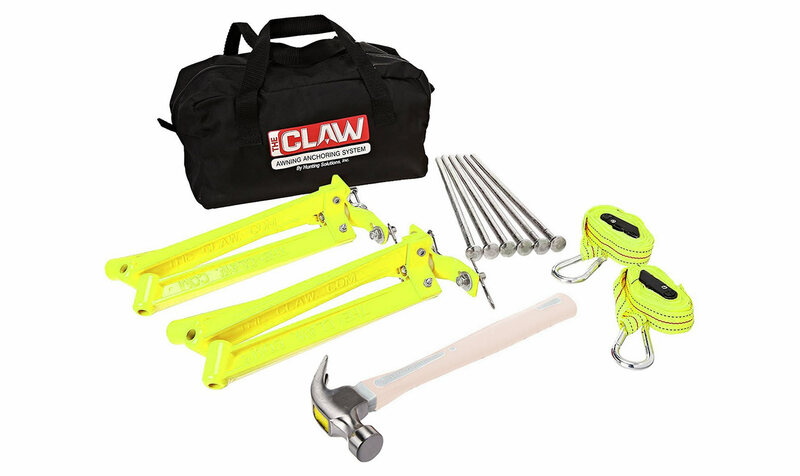 The C200 RV/Awning Kit includes one carry bag that stores two Claw® anchors, six spikes, one hammer and two anchoring straps. It’s convenient design allows for easy attachment to awning posts or tie-down straps. Aircraft, tents, canopies, pets, boats, hurricane preparation, satellite dishes, antennas, balloons, playground equipment or anything you wish to anchor to the ground securely. 1 Carry bag that stores 2 anchors; 6 spikes; hammer; 2 anchoring straps.